Dry roast the above and make a powder. 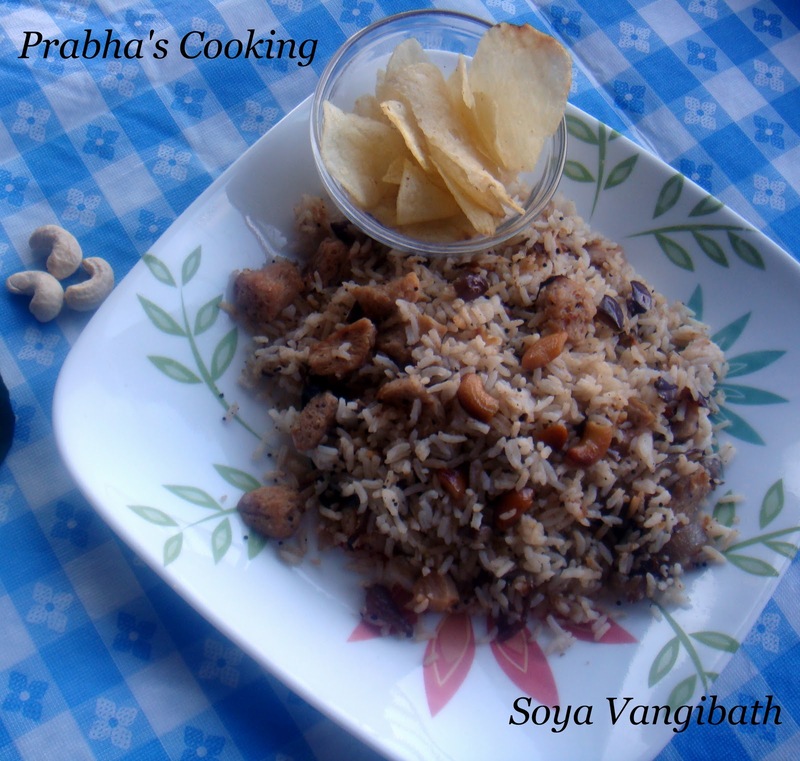 Add soya chunks in to boiling water,cook it for 5 mins.And drain and wash well in cold water,then squeeze and keep aside. Add the ginger galic paste and green chilly,fry for a while. Heat oil and ghee,temper the ingredients one by one. Add onion and fry,till gets golden color. After that,add brinjal,fry well till roast. Then,now add the soya chunks,fry for 1-2 mins in low flame. Add salt and rice mix well. Finally add Vanghi bath powder and lemon juice,mix gently. 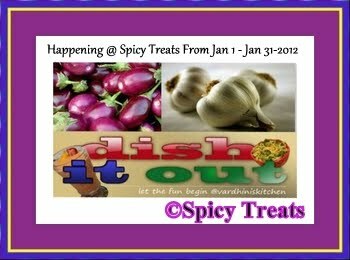 Serve hot with Potato chips/any side dish!! 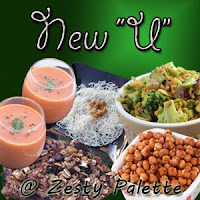 Linking this recipe to Vardini's "Dish it out" hosting by Sangeetha, then to Vardini's "New "U", and Radhika's "Let cook #11 Rice". Thats a delicious and flavourful one pot meal,tempting. 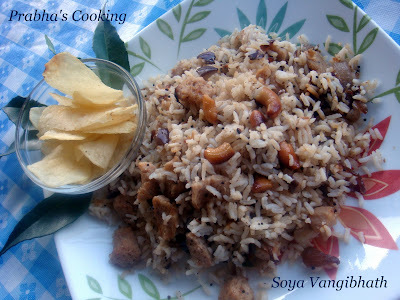 Soya is my favorite and combining with brinjal sounds super yummy. Thx for linking to the event. 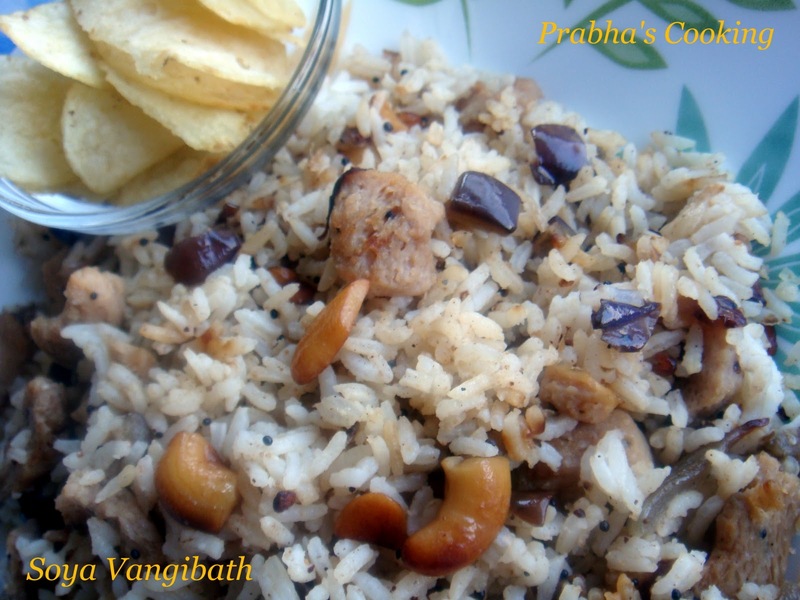 Delicious and yummy twist to the usual vangibath..